The 2019 Victorian Championship will be held at Beaumaris Yacht Cub over the labour day long weekend - March 9-11. The mighty Puffin Pacer was first introduced to Australia in the late 1960’s. Designed by Jack Holt in the UK many boats were made in Australia from timber kits utilising the stitch and glue process. The UK Pacer Association allocated numbers in the 600’s to 800’s range for boats in Australia. In the early 70’s Anchor Marine provided the first fibreglass boats. These came with wooden gunwales, mast gates and thwarts. Smackwater began making fibreglass boats in the 80’s down at Carrum. They were good boats but where structurally a little weak and maybe not as stiff as was needed as they were made with a lot of chopped matt fibreglass. Many timber boats are still with us today, boats made by Graham Downey and Alex Magner are still in use and sailing well. Congratulations to the Australian champions Ross Martin and Natasha Martin, winners on a countback. Junior champions are Lauren Kemp and Eliza Kemp. Winners of the non-spinnaker division are Ethen Perry and Archer Manuell. Junior / Senior champions are Jessica Viza and Anne Vize. Masters champion is Paul Taig with Emma Taig. The 2018 Victorian Pacer Championship held March 10 - 12, 2018 at Mount Martha Yacht Club. Congratulations to the winners Paul and Judy Hardie. The Pacer Association has negotiated with Victor Harbor Beach Front Holiday Park to hold 6 cabins and 4 tent sites until April 30th. The available cabins are a little spread out. The tent sites are together. There are also plenty of holiday homes / apartments that people can book through the list below. We suggest that you book what ever you can by the end of April at the very latest as it is a popular holiday location. Pacer Australia has negotiated special rates at nearby University of NSW and University of Sydney campuses. For more information CLICK HERE. We regret to announce the passing away of Leslie Donald Sharp on 21 July 2015. Les was the Inaugural Life Member of the Pacer Association of Australia, awarded on the 12 September 2003. To be awarded this honour a candidate must, “be a member who have given outstanding service and exceptional commitment to the Pacer Association and its objectives over a long and substantial part of their life, and who has been held in high regard and appreciation by the membership of the Association during that time”. A very modest man and a champion, winning the 1981 State and Australian Championships in Red Jacket, the first boat he built. 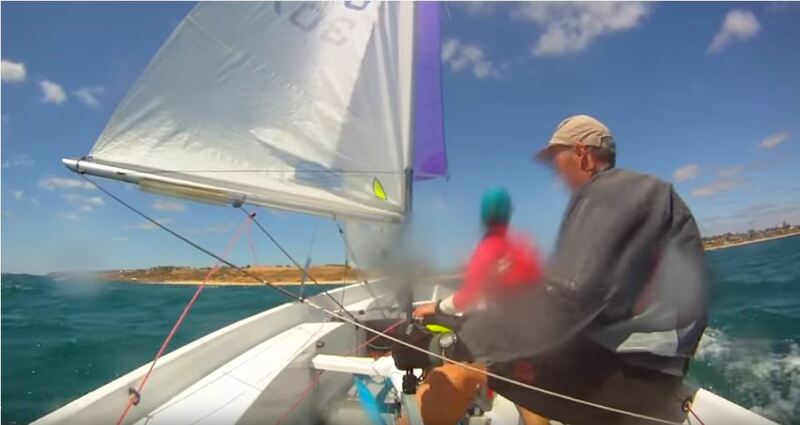 Always at the top end of the fleet, he was a highly competitive sailor who conducted himself at the highest standard of sportsmanship, always congratulating his fellow competitors at the end of the race. Sailing until he was 83 years old, he shared his love and skills with many crew. He started as a child sailing a converted canoe with his brother, and getting rather wet in the process! His introduction to racing was in a cadet dinghy (Red Jacket) at Brighton. Employment, marriage and family meant it was 1968 before he came back to sailing by joining the Beaumaris Yacht Club. His first boat was a Heron, followed soon after by a Pacer. Even while supporting a family of three children, he found time to participate fully in all the many tasks necessary to run a (then) very large club. His formal roles included Committee Member, Membership Officer, Chief Maintenance Officer and Commodore. 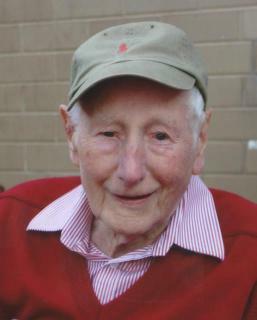 He was awarded a Life Membership in tribute to his many contributions. While Les had always built and repaired timber dinghies, after retiring from work, he began buying old timber Pacers and rebuilding them to a high and reliable standard. If you couldn’t afford a Jim French fibreglass Pacer, you would do well to buy a rebuilt Les Sharp Pacer – it wouldn’t let you down & there was always the chance that some of Les’s skills would transfer to the new skipper. It wasn’t only Pacers. Minnows, Sabres and a couple of 125s were also restored to their former glory, his Minnows being highly sought after. A staggering total of over 60 boats passed through his hands in this manner. When Les retired he was sailing Silver Fox. As each new or refurbished Pacer left his garage, he would try to name them in the fox theme. The last boat that Les sailed, which he also built, was Fox Folly. He was a people person, even his home boatshed opened out onto the side street so that neighbours and friends could stop for a chat while viewing the work in progress. The rear brick drive was always where you parked your car when visiting because that’s where Les would be. If not, it was a short stroll to the back door for a chat in the kitchen over a cup of tea or coffee and one, (or two) of Pam’s delicious cookies. The front door was very rarely used. At the club and regattas Les would talk to everyone, including the children, encouraging them to enjoy sailing while improving their skills. Always approachable and generous with his time and knowledge when help or advice was requested, it seemed he simply wanted people to get the same pleasure from sailing that he did. The Queensland Pacer Association have recently published their newsletter here.